with your wild spiky fur, you're as cute as they get. there's no stink to be found, so breathe deep and exhale. you're cuddly and loveable wherever we go. And go we will, on adventures so grand. We'll use our imaginations as we travel the land. as we use the secret code you carry, on that you can depend. 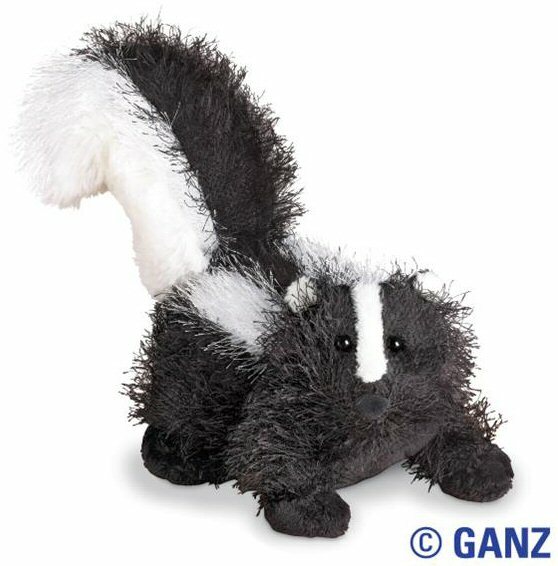 Stinky, this adorable plush skunk, has soft black fur, bright white stripe, and a wonderfully huggable body.